Nana’s Reiki is pure Art, Love and Magic. The word Reiki means “Universal Life Energy”. There is a basic “Breath of Life” in every human being which is responsible for the maintenance of health. Nana Deleplanque is an Usui Shiki Ryoho Reiki Master Instructor in New York. Nana has worked with different forms of Universal Energy and Spirituality in France and the United States. She is a member of the Reiki Alliance. 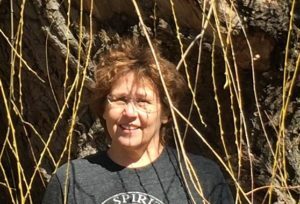 In private practice since 1989, Nana draws some of her workshop content from her extensive experience with clients and her lifelong commitment to Reiki. She is also a certified Master and Clinical Hypnotherapist by the International Association of councilor and Therapist, a certified Flower Essence Practitioner by Delta Garden and Bach Flower Remedy. Studied Aromatherapy (Using the aromas of plant extracts and essential oils in massage, baths and more. ), Herbology (Using Plants for medicinal purposes), CranioSacral Therapy at the Upledger Institute and Polarity with “The Life Energy Institute”, Kinesthetic Anatomy and Physiology of Motion with Irene Dowd, Shamanism with John Perkins, Hank Wesellman, don Oscar Miro-Quesada, Sandra Ingerman, trekked with Huicholess Tribes (Castaneda) in Mexico and Don Basilio in Peru. Studied Pranic Healing (Utilizing prana or ki energy to heal the body) with Master Choa Kok Sui. She practices Tai Chi with the Taoist Tai Chi Society, Yoga and is a Nidan from Seido World Karate. Studied Zazen with Taïsen Deshimaru, Tarot with The Builders of the Adytum and practice since the 70s. She was ordained healing minister in a non-denominational church by John Harvey Gray in 1993…. Graduate Studies the Ecole des Beaux Arts d’Aix en Provence.